BOLD conditions agents with powerful mindset exercises, language techniques, and lead generation activities. This transformative program increases sales through the relentless pursuit of leads and business-building activities. Discover the transformational results BOLD will have on your life and career. Choose abundance for your life. Last year, BOLD graduates INCREASED their CLOSED TRANSACTIONS by 50% and INCREASED their INCOME by 114%. BOLD conditions you on how to think and act bold, completely redesigning your business, life and earning potential. BOLD is delivered by a coach hand-picked by Dianna Kokoszka, and is delivered in your local market area. Every coach meets a standard set by Dianna and MAPS and is based on past real estate sales experience, coaching experience and other factors. 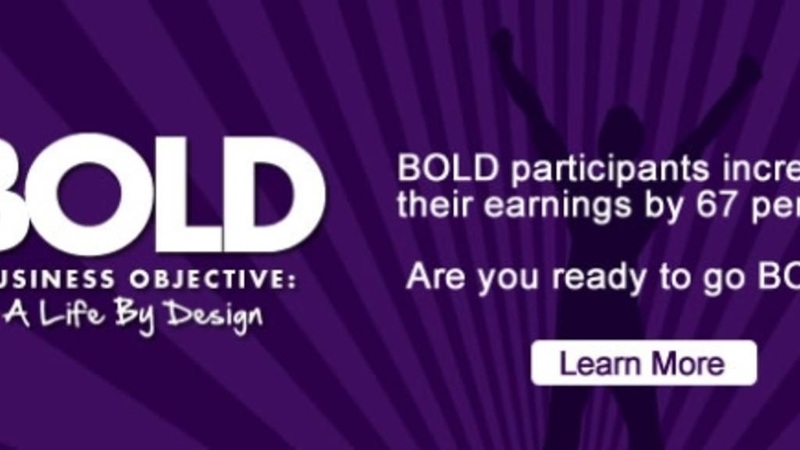 BOLD: Written by Dianna Kokoszka, CEO of MAPS Coaching, BOLD includes the strategies, skills and scripts that have propelled Kokoszka's own million dollar real estate career and secured her place as the industry's Queen of Systems and Scripts. At this FREE event you will leave with proven sales techniques that you will implement the very same day! You will leave with referrals in hand and a greater ability to influence those you come in contact with. This program is designed to get you thinking differently. The bigger you think the more money you earn! You owe it to yourself to attend. It could virtually change the way you approach your real estate career and life. I've personally taken BOLD 4 times. BOLD is truly focused on mindset more than scripts and calls. Scripts and calls are important. During BOLD, I found myself talking differently, feeling differently even more confident. My words and thoughts were more clear. I wasn't nervous making calls or talking to sellers, buyer or my sphere. Making these calls and talking to your sphere, even strangers can be scary and uncomfortable. Yet it doesn't have to be, when you come from contribution and step into BOLD with an open mind. Allow BOLD to stretch your mind and what you can do. You will amaze yourself. The first step to BOLD is FREE! It's worth attending and coming to the 1st step even if you aren't sure that you may register just yet. Come see what BOLD is about and why successful agents take it over and over again. Remember, I've taken it 4 times and still continue to grow everytime I take.